The Guardian says Sirr presents a multi-faceted Ireland through the prism of the pub, and a half-interior imaginary ramble. Peter Sirr was born in Waterford in 1960 and was educated at Trinity College Dublin. He lives in Dublin where, until 2003, he was Director of the Irish Writers’ Centre. 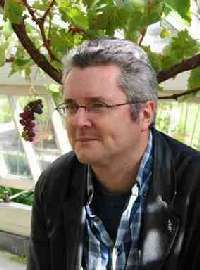 He now works as a freelance writer, editor, and translator, and has edited several issues of Poetry Ireland Review. Peter Sirr’s Selected Poems gathers work from the early poems in Marginal Zones (winner of the Patrick Kavanagh Award in 1982); Talk, Talk (1987); Ways of Falling (1991); The Ledger of Fruitful Exchange (1995), which received the O’Shaughnessy Award for Poetry (1998); and Bring Everything (2000). The Thing Is (2009) won the 2011 Michael Hartnett Award, and his most recent collection, The Rooms (2014), was shortlisted for the Irish Times Poetry Now Award. Sirr is a member of Aosdána and is one of the brightest stars of the generation of Irish poets born in the 1960s.